Hi Brad- I was planning on making jerky this weekend. I have a smoker and a dehydrator. Which do you recommend using and why? Great question and there is no easy answer! This is the great thing about being your own game processor because you can manufacture products to you own taste! Using a smoker you have the benefit of applying that good natural wood smoked flavor to your jerky. When using a dehydrator you will have to add liquid smoke flavor to your initial meat product. So I would ask a question back to you... Which flavor do you like the best? Liquid smoke or natural? Brad- I am concerned about sodium levels in my diet. Is using the cure packet included in most jerky seasonings necessary? Yes, the cure packet assists in the reduction of bacteria during the slow cooking faze. When drying jerky and making any type of smoked product you are cooking at very slow temperatures, these low temperatures, 150-175F are prime target temperatures for bacteria to begin growing very rapidly. The sodium nitrate in the cure packet will prohibit the rapid growth of these bacteria. Also the cure is added at such a slight amount that you will generally find more sodium in the actual spice kit than in the cure packet. Is there any difference in the final product when using a meat grinder as a sausage stuffer compared to using a traditional sausage stuffer? Hi Jim- Yes there is a difference in stuffing with a grinder VS using a stuffer. Don't misunderstand me, use whatever equipment you have available to you and grinders work well for stuffing but When using a grinder to stuff with the auger will extract additional proteins from the meat because of the mechanical mixing action of the auger spinning around so quickly. This can create a "rubber" type product. Another down side of using a grinder to stuff with is it creates heat and if you have a product with fat in it, the fat can "render or grease out". Grinders also decrease particle definition by "smearing" the product out of the grinder head rather than pushing it strait out like a standard stuffer will. You can take steps when using a grinder to stuff with that will help create a better product. Such as add ice to the product when grinding, this will keep the meat cold and prevent it from "greasing out". Don't over mix the product before you use the grinder to put it into the casing, the auger in the grinder will mix it for you when pushing it into the casings. 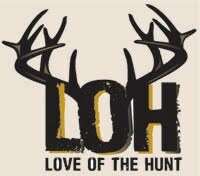 This is a segment from Love of the Hunt TV. In this episode, you will learn how to make summer sausage with products from Outdoor Edge, Hi-Mountain, Weston Products and Bradley Smokers.